“Disruption” is a buzzword in the entrepreneurial world, especially among technology start-ups. Tech companies seek to develop new business models for innovative products and services, all with the goal of disrupting the market and obliterating competitors that are still using established models. Some of these disruptors become huge companies. Two well-known examples are Airbnb, which has disrupted the hotel industry, and Uber, which has done the same to the taxi industry. Both companies have succeeded by tapping into the growing sharing economy and leveraging the internet and all its interconnected devices to become a new type of intermediary, a matchmaker of sorts between vendors and customers—for a piece of the transaction proceeds. These and other disrupters are themselves vulnerable to disruption from blockchain technology, the vehicle for bitcoin, because of its capacity for disintermediation—eliminating middlemen. Ironically, egalitarian-minded tech savants envisioned the Internet originally not as something that would empower corporate behemoths, but as a tool to enable a peer-to-peer (P2P) economy. but things haven’t turned out that way. Some of the biggest names in tech are companies that have interposed themselves between individuals as middlemen to profit from what would otherwise be P2P transactions. Blockchain technology uses cryptography and what is known as a distributable ledger to create a database of information that is owned by no one, yet viewable by and secure for everyone. As a decentralized, open-source ledger, it creates enormous opportunities for P2P transactions of all types. By having strong potential to redirect trust now placed in intermediaries to this technology, blockchain is poised to disrupt the disrupters, including the newest class of intermediaries, Airbnb and Uber. The reason Bitcoin came about was to allow people to transfer value, P2P, to anyone in the world—anytime, quickly and with little to no cost and, most importantly for P2P monetary transactions, without having to use a bank or other financial intermediary. The progenitors of Bitcoin argue that the current monetary system was not designed for the highly connected, increasingly digital world we live in today. Bitcoin and other digital currencies are changing all that. As open source technology, blockchain software lives on the internet and can be downloaded by anyone to customize and create innovative use-cases, including distributed data storage, identity verification, supply chain management, land and title registrations, decentralized social networks and, of course, digital currencies and other digitized assets. Blockchain’s potential lies in its nature as a rock-solid, unimpeachable records repository. Blockchain data is immutable—a perfect, permanent audit trail that can never be changed. Hence, it enables supreme accountability and transparency for buyers and sellers. Consumers can search for specific blockchain-based applications to hail a ride, rent an apartment, sell furniture, vet a contractor, get a job and other functions that make middleman companies profitable. Though blockchain data will be universally accessible, its use of cryptography, and what are known as private and public keys, make private data secure. Data is transmitted through public keys, but only the intended recipient can unlock the value being transmitted using a private key, like a digital safe deposit box. If the public key is lost or stolen, it’s worthless without the private key associated with it—this is what makes Bitcoin transactions much more secure than credit card transactions, which routinely transmit private data and are, as we’ve seen in recent years, easy prey for hackers. Most consumers aren’t using bitcoin or other digital currencies to make purchases, but this use will increase significantly with blockchain commerce. It will enable individual vendors, who don’t take credit cards, to eliminate the middleman of PayPal. If this level of acceptance sounds like a stretch, consider the growing list of companies that now accept Bitcoin for payments, including Microsoft, Zynga, Overstock.com, Expedia, eGifter, Shopify, Dish, Subway and Intuit. Companies developing products and services that will benefit from blockchain’s use have tremendous potential. Blockchain-related ventures are attracting significant levels or corporate and venture funding from prestigious venture capitalists and Fortune 500 corporations. Applications now under exploration by startups, consortia and large corporations include investments, securities, bank operations, photo repositories and music-downloading services. Experts also anticipate applications for medical records, potentially speeding up the realization of the long-heralded vision of universal, global digital accessibility. Blockchain would accommodate patient privacy because only medical personnel with the patients’ private digital keys could unlock their records. To make P2P blockchain transactions possible, disruptors will rely on what is now called Web 3.0, an anticipated platform for decentralized applications, seamlessly connecting users with digital services and enabling unmediated transactions. This has major implications for Google, one of whose main profit centers—essentially, collecting massive fees for rendering vendors’ URLs high in search results—is a middleman role. While this costs consumers nothing directly, it nevertheless raises costs for companies that pay Google and thus the costs of the products and services they sell through these elevated digital profiles—not surprisingly, Google is working to build its own blockchain network. Blockchain also has implications for issues surrounding private data—a hot topic now that Facebook is making headlines for sharing this data with third parties. Though Google doesn’t do this, like Facebook, it uses private data to direct advertising and/or commercially-oriented search results at individuals. In both models, consumers are the product. In Web 3.0, individuals would have more control over their data, having the choice to opt-in versus having to opt-out. The ability to do this while conducting P2P e-commerce could threaten the Facebook-Google private-data duopoly. Blockchain is difficult for many people to understand, but so was the Internet initially. Currently, navigating blockchain data usually requires programming skills, but eventually, this task will be more user-friendly, just as using a computer and navigating the Web are now compared with their original iterations. After all, the internet has taken 30 years to get where it is today. Originally, navigating it was regarded as a horrendously technical and opaque chore. And originally, the internet had no advertising! In just a few years or possibly sooner, as the stock market relentlessly looks ahead, blockchain-related ventures now fueled by venture capital aplenty could be siphoning off a significant volume of what would otherwise be investment in middleman companies. If you’re currently investing in these intermediaries, you might want to consider reserving some capital for companies that appear likely to disrupt them through disintermediation. Then, you, too, could become a disruptor. Eric C. Jansen, a Chartered Financial Consultant, is the founder, president and chief investment officer of Westborough, Mass.-based AspenCross Wealth Management (AWM), which teaches clients how to make smarter financial and investment decisions and utilize disruptive technology to help them live their best life. 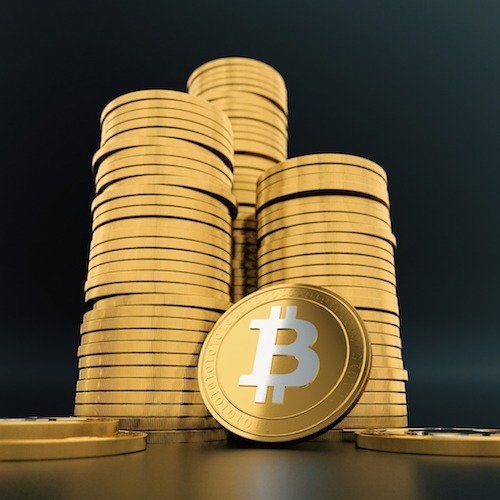 AWM also provides cryptocurrency educational services to clients nationwide and recently began accepting Bitcoin as a payment method for financial planning services.